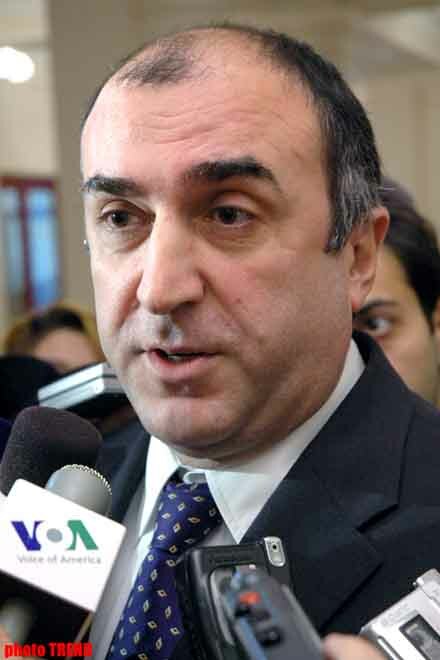 Matin Mirza, the speaker for the Azerbaijani Foreign Ministry told Trend that the Azerbaijani Foreign Minister, Elmar Mammadyarov is to meet with his Armenian counterpart Vardan Oskanian, in Moscow, Trend reports. According to Mirza, a meeting of the Azerbaijani and Armenian Foreign Ministers was scheduled for 6 October, as the OSCE Minsk Group co-chairs had proposed. Oskanian also gave his consent for the meeting to take place, as stated to a news conference in Yerevan by the Russian Ambassador Yuriy Merzlyakov, the OSCE Minsk Group co-chair. In 10 days the Ministers may hold one more meeting. In his turn the French Ambassador Bernard Fasie spoke of the possibility of conduct of talks between the Azerbaijani and Armenian President in the near future. The OSCE Minsk Group co-chairs, who arrived in Baku on 2 October, visited Yerevan and now plan to leave for Nagorno-Karabakh.